We are experiencing a historic shift in how people view the importance of culture and culture change. As a result, most CEOs and other top leaders will be expected to understand and deal with culture challenges proactively, or they will be considered both financially and morally negligent. Yes, financially and morally negligent. We are seeing top leaders held accountable for their own behavior and for unacceptable behavior deep in their organizations at a level we have never witnessed before. This is driven by a much greater culture shift in society—and it is long overdue. Many leaders think they are taking steps to understand and evolve their culture, but how can you tell? I will cover our 12-Question Culture Challenge leaders can use to evaluate their current approach, but first, we need to understand what’s led to this watershed shift in thinking about culture. These three examples of repulsive leader behavior cross sport, film, higher education, technology, for-profit, non-profit, and many other segments. No organization is protected from the painful consequences of failing to understand the current state of its organizational culture and the impact it is having on its results and stakeholders (employees, customers, community, etc.). January 2019 Update – The status of the three examples above has clearly changed over the last year. The original explanation of each example is expanded with a “January 2019 Update” so we can understand how these crises have continued to impact various stakeholder groups. There are three major groups that organizations typically fall into when it comes to the current state of their culture-related understanding and intentional action: 1) The Positive Action Group, 2) The Culture Crisis Group, and 3) The Little or No Action Group (the vast middle). I hesitate to say that there is a “problem” with any of these organizations because they all believe culture is important and are taking steps designed to make a positive impact. Unfortunately, however, many were informed by team members, consultants, and “experts” who do not have a thorough understanding of organizational culture and, in some cases, have over-simplified the assessment of the current state, so solutions or improvements may have little or no impact on culture. The Culture Measurement Illusion: It is rare for organizations to understand, measure, and define a common language for the underlying culture in terms of beliefs, assumptions, and behavioral norms (the “unwritten” rules driving the behavior they see on the surface). Many think they are doing this work with a survey focusing on engagement, satisfaction, great workplace, etc. using so-called “culture assessments,” but these are nearly all, by definition, work climate assessments. Often, these organizations and their leaders also lack understanding about how cultures evolve. They emphasize supporting their values and targeted behaviors instead of fully understanding their current culture and why any undesirable aspects are so deeply entrenched. Improvement plans help, but some are ineffective because they are based on a superficial understanding of the culture. The good news is that the members of this group are taking action. Most will eventually take on meaningful and valid culture assessment and change efforts because they will be necessary to adapt to a rapidly changing environment. They quickly realize many improvement efforts can be accelerated when armed with a thorough understanding and measurement of their culture and climate. The flip side of this positive story across many organizations is the growing group of organizations rocked by a culture crisis. The three high-profile cases I previously mentioned are just the latest in a long list of prominent scandals and crises documented by others: GM ignition switch failures5, banks and the financial crises6, Volkswagen emissions scandal7, Toshiba accounting scandal8, NFL domestic abuse9 and bullying scandals10, Veterans Affairs wait-time crises11, US Secret Service security breaches12, and many more. A crisis is publicized in the popular press. Leadership implements some initial improvement actions, but they are often widely criticized. An independent investigation is launched, normally by a law firm, without the assistance of any culture experts. A detailed report is published highlighting many flaws in systems, structures, leadership, training, and other areas. A small group of employees, viewed as the worst offenders, are fired or resign. Leadership implements new controls and other improvements, but culture is not assessed with the depth necessary to know if they are having the desired impact on shifting the culture. The organization drops from the headlines. There are differing opinions about the effectiveness of improvement actions and the impact on the broader culture, even if most are confident the specific original problem will not reoccur. The organization is “wounded” for years or decades that follow as the crisis becomes an unshakable part of their history. We will eventually see this process change as organizations realize most law firms do not have the knowledge and tools to assess and measure culture thoroughly. If you have a heart problem, you go to a cardiologist; if you have a culture problem, you go to a…lawyer? There are many far-reaching legal implications, and lawyers will always be involved; they just need to partner with culture experts as part of these independent investigations. The Little or No Action Group is the vast middle between the Positive Action Group and the Culture Crisis Group. Most organizations fall here. They typically have a litany of programs, projects, initiatives, and assessments that may or may not have a connection to culture. Some are met with sarcasm or groans from employees about “another” improvement initiative while the culture elephant in the room remains ignored. One top leader I know referred to it as “Groundhog Day,” where the same issues with behavior surface over and over again. Leaders may or may not be aware that culture is important, but it is not one of their top priorities to understand, measure, and positively evolve in support of their mission, purpose, and strategy. They avoid taking a deeper look at culture due to excuses about time or money, but it is normally their lack of knowledge about culture or fears about what they will find that inhibits a deeper analysis. I call this the “culture conundrum”: leaders know they need to understand their culture, but they fear they will not know how to deal with issues that surface from a meaningful culture assessment. These leaders crave certainty, and it takes courage to deal with the messy side of understanding culture and culture change. I am going to use the three recent culture crises I highlighted as case studies to help understand what’s driving the shift in thinking about culture. The first of our three culture crises did not start with the acclaimed blog post by Susan Fowler or the independent investigation that resulted in 47 recommendations found in the Holder Report.16, 17 Instead, concerns about Uber’s alleged aggressive and unrestrained culture existed for years, but the market value of Uber continued to grow despite each new shocking report.18 This changed with the most recent crisis around sexual harassment and other unacceptable behavior. Uber was valued at over $60 billion before the crisis, but its most recent financing from Softbank put the value of the company at $48 billion.19, 20 This massive drop in value still falls short of that attributable to the Volkswagen crisis, which will cost at least $31 billion.21 These are incredible losses and explain in part why, moving forward, ignoring culture will be considered financially negligent. We can only hope the broader culture in private equity firms and the financial community will shift and constructively impact aggressive cultures like the one at Uber. That may never happen, but they all care about money and will have to deal with the financial fallout. The 47 recommendations in the Holder Report covered various systems, structures, roles, and other changes. There wasn’t a single recommendation—not one--related to understanding or measuring any aspect of the culture. The new CEO recently released “Uber’s New Cultural Norms,” but the title alone reveals how little Uber understands culture.22 They apparently made an intentional choice to call them norms and not values. 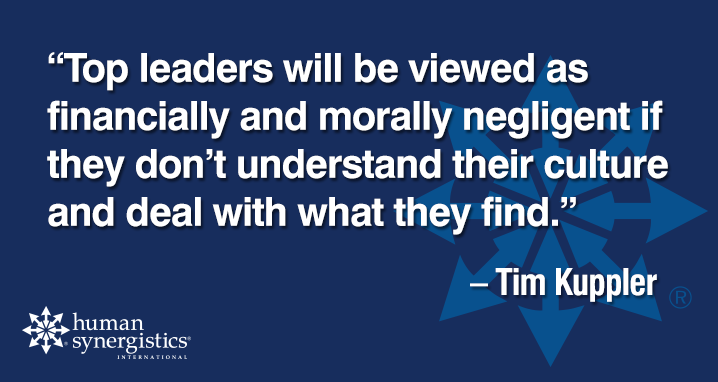 They can call them what they like, but the reality is that they are espoused values. They are the “ideal,” or what they are targeting, and the difference between the target and the current reality (i.e., norms) must be understood. It is possible to measure critical behavioral norms and compare them to your values or ideal culture.23 This does not, however, appear to be part of Uber’s plan. Many organizations emphasize “culture alignment” and aligning everything to their values, but they lack an understanding of specifically where and how they are not living up to those values. January 2019 Update – It appears like Uber’s efforts to clean up its sexist culture have helped, but Vanity Fair reports “a reckless competitive streak still defines the company’s DNA.”44 Uber more recently faced another widely publicized crisis when an Uber self-driving car struck and killed a pedestrian. The subsequent investigation revealed car calibration concerns, the emergency brakes were disabled, the safety driver monitoring the car was watching a show on her phone, and, most importantly for our culture discussion, Uber executives reportedly ignored employee feedback about the self-driving car technology being too unreliable for large-scale testing.45 The most damaging outcome for all of us that advocate for constructive cultures is the rapid recovery in Uber’s reported market value as it prepares for an IPO. The reported value of up to $120 billion is double the estimate prior to the Susan Fowler sexual harassment incident and it eclipses the total value of General Motors, Ford and Fiat Chrysler combined (the “big three” automakers in the US).46, 47 Uber’s CEO has openly shared that the culture still needs improvement.48 He also shared the vision of Uber becoming the “Amazon of transportation” as they apply their platform to many on-demand services like food delivery, bikes and scooters. Time will tell if the Uber culture crisis will be viewed as one leading to self-inflicted wounds in a hypergrowth case study or, instead, as a notable example of how an organization can recover from negative patterns of behavior with help of new leadership. The fear of speaking up is a cancer that plagues nearly all organizations. This fear and related insecurities translate into implicit expectations for passive and defensive behaviors as measured by the Organizational Culture Inventory®. In most organizations, such norms limit innovation, customer satisfaction, learning, and financial results. In some organizations, like what is alleged to have occurred at the Harvey Weinstein Company, these fears and norms also keep repugnant behavior underground, even if “everyone” knows it is going on. The cultures of a number of organizations in various industries have evolved over many years to reinforce this “fear of speaking up” via a variety of mechanisms (think systems, structures, leadership approaches, peer pressure, etc. ); thus, it may be difficult for their members to assert themselves, even when ethical lines are crossed. In reaction to this, we are just beginning to see the impact of #MeToo and other movements that unite people and encourage them to speak up. It is now becoming a broadly accepted standard that top leaders, including board members, must make it their job to know. Responsibility lies with the powerful, not the powerless. January 2019 Update – As Uber continued to grow at a dizzying pace, The Harvey Weinstein Company ceased to exist.49 The company filed bankruptcy and was sold to Lantern Capital. It will operate under the name of Lantern Entertainment and the proceeds of the sale will go to lawyers, bankruptcy professionals, creditors and the victims of misconduct. As reported by NPR, Harvey Weinstein was arrested and charged with sexually assaulting three women, and many others came forward to claim misconduct.50 Mr. Weinstein denied all charges and said the encounters were consensual. Defense attorneys continue to raise concerns about misconduct from investigators, prosecutors and alleged victims in an effort to have the entire case thrown out. This scandal may have brought down The Harvey Weinstein Company, but it’s still unclear how the criminal case will end. This most recent culture crisis dominating the popular press is exposing deeply rooted issues across sports and higher education.28 One victim of abuse was ultimately joined by 155 other victims and their advocates to share impact statements during the Larry Nassar trial. The trial led to widespread resignations, including the entire board of USA Gymnastics (USAG) along with the Athletic Director and President of Michigan State University. This case shares many characteristics of the other two crises with vile behavior, leadership changes, independent investigations, and a movement encompassing students and many other groups. The distinguishing factor with this crisis is how it will impact organizations that may view themselves as oversight bodies (NCAA, US Olympic Committee, and others). These organizations are demanding change, but recent events suggest that they should be looking in the mirror when it comes to identifying who allowed this cancer to spread. It is obviously a broader cultural issue that spans the entire governance structure of higher education. Expectations regarding culture assessment should exist across all accredited universities. We could see the US government eventually step in with new regulations if governing bodies in higher education don’t act. I live in Michigan and can easily compare coverage of the General Motors ignition switch crisis with the current Michigan State crisis. The outrage from Michigan State students, athletes, parents, and alumni is amazing. It is dominating our news and sparking action far beyond the General Motors crisis. Do not underestimate the power of groups assembling to demand change. It will eventually change how our entire educational system deals with the subjects of culture, responsibility, and accountability.4 When we see this shift in education, it will spill over to all organizations as the power of culture is ingrained in how we educate future leaders. The fallout from this crisis reached far beyond the USAG and USOC.54 The former president of Michigan State and the university’s former head gymnastics coach were both charged with lying to investigators, and each faces up to a four-year prison term if convicted. Nassar’s former boss at the university was charged with four criminal charges related to the scandal and received additional allegations of sexual harassment. Michigan State reached a $500 million settlement with 332 survivors and continues to receive pressure to improve their response to the crisis.55 The Michigan legislature passed two new Nassar-related laws, and nearly 20 other related bills are under consideration. Boards and the financial community now see the staggering financial impact of ignoring culture across many high-profile examples. There is a social movement where individuals are encouraged to speak up and leaders are being held accountable for not knowing about bad behavior or allowing it to persist. The spotlight is finally being shined on industry and governance bodies. Their change efforts will impact large groups of organizations, or the government will step in. Over the last 30 to 40 years, awareness of the importance of culture has grown and this progress has been driven by many progressive leaders with noble intentions.40 The shift to culture assessment and change efforts being “required,” or at least expected, is driven by social movements and crises where the power of culture is clear to all. How will you or your CEO know if your approach to assessing and changing or evolving culture is sound? It is especially challenging with the tremendous growth in awareness about culture. It seems as though everyone is talking about culture these days—describing what culture is, what it isn’t, why it’s important, offering advice, top tips, and so on with little consistency even amongst “culture experts.” Confusion about culture is common and leaders often feel lost when it comes to understanding this critical topic. Do you have strong internal culture expertise or, if not, are you obtaining adequate support in some form (education, coaching or consulting, assessment) from an external thought partner with extensive culture experience? You cannot replace decades of experience, but you can learn from it. Have you defined values and expected behaviors so it is clear what you stand for and expect from all team members? Do you currently assess your culture (e.g., values and norms) and climate (e.g., perceptions of systems, structures, job design, leadership skills and qualities) at defined periods?41 Most engagement, great workplace, satisfaction, and so-called “culture assessments” only measure the work climate. Confirm that you are measuring some dimensions of culture: beliefs, values, and behavioral norms. Do you utilize a valid and reliable culture and climate survey? Other survey considerations include the presence of extensive third-party research, global application, and the use of a diverse research data set for comparison instead of client data. Does your culture assessment approach include the identification of beliefs and assumptions driving the patterns of behavior or norms you see (especially any negative or challenging behaviors or norms you identify)? Just a few examples from the Organizational Culture Inventory: Why do team members believe they are expected or implicitly required to not “rock the boat,” avoid confrontation, never challenge superiors, and/or accept the status quo? Does your culture-related improvement planning process include a clear connection to solving problems and improving outcomes (results) for individuals (e.g., satisfaction, motivation, stress) and the organization (e.g., growth, adaptability, quality, service)? Many organizations see only marginal results from generic “culture plans” lacking a clear connection to specific outcomes or results. Do you openly share the results of culture assessments internally and engage the broader organization in the process to adjust major strategies and improvement plans based on what you learn? This approach is far more strategic and impactful than common survey and action planning approaches. Do you share the status of improvement plans (referenced in question #8) and re-engage the broader organization to provide feedback on what’s working, what’s not, and related results/outcomes? This approach supports shared learning and a clear connection to results or outcomes. Do you connect the definition of any desired shift or change in the culture to the assessment and development efforts of individuals, including underlying mindsets, and teams (starting with the top leadership team)? Can you state with confidence that you are an active participant in your organization’s approach to understanding and, where needed, intentionally evolving its culture? If you answered “YES” to all questions, you are well on your way to growing a strong culture assessment and development approach. It is likely having a positive impact on individuals, teams, your organization, and the local community or society in many ways that go beyond what you realize. Don’t stop your learning journey. Openly share what you have learned with others and reach out to culture experts to continue your learning journey. It is possible to unlock the power of culture for good! If you said “NO” to any of these questions, you should revisit your approach or the guidance you have been given (see question #1). There may be an opportunity to improve your management and change strategies as well as related outcomes or results. Don’t wait—the only “good” time to improve the understanding of your culture and how it is driving results is now. Substantial progress can be made in less than 90 days if you follow a proven approach. Organizations and industries still have the opportunity to determine how they should assess, measure, monitor, and manage their cultures. If they don’t do so, it will be a matter of time until their leaders are viewed as financially and morally negligent, and serious consequences are likely to continue and possibly increase in frequency and severity. As importantly, however, the standards, tools, procedures, and regulations for assessing and managing their cultures are going to be externally imposed and may be bureaucratic, ineffective, and wasteful—as well as difficult to change and improve in ways that actually solve the problems at hand. Yes, it is possible to unlock the power of culture for good and we all have a role to play in making this happen. Each one of us should reflect on our responsibilities in that journey and whether we are constructively influencing culture in a way that aligns with our personal and shared values. This can be an invaluable first step in connecting personal transformation to culture transformation. This blog post was updated January 14, 2019. See sections labeled, “January 2019 Updates” and corresponding references below for notes 44 through 52. Organizations mentioned herein were contacted and have not yet responded to our requests for comments. Download the 12-Question Culture Challenge and share it with your CEO or other top leaders. 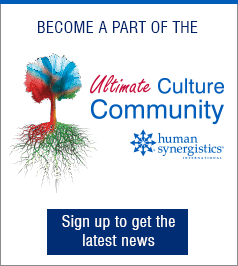 Need some help with your culture journey? 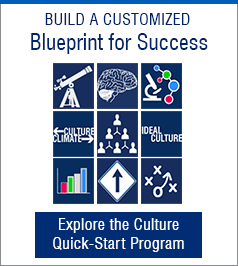 Consider the proven and effective Ultimate Culture and Performance: 90-Day Quick-Start Program. Interested in learning more about culture, climate, and the most widely used and thoroughly researched cultural assessment in the world? Attend our popular Culture Accreditation Workshop. Please share this post with others and comment on social media. 4 Cooke, R. A. and Szumal, J. L. (2000). “Using the Organizational Culture Inventory to understand the operating cultures of organizations.” In Neal M. Ashkanasy, Celeste P.M. Wilderom, Mark F. Peterson (eds. ), The Handbook of Organizational Culture and Climate, Thousand Oaks CA: Sage Publications, pp. 147-162. 13 Cooke, R. A. & Lafferty, J. C. (1987). Organizational Culture Inventory®. Plymouth, MI: Human Synergistics. 14 Cooke, R. A. (1996). Leadership/Impact® (L/I). Plymouth, MI: Human Synergistics.